Sahar Dourgham lives and works in Alexandria. Born in 1970, she is a visual artist and lecturer at the Faculty of Fine Arts, Alexandria Uni.Egypt. 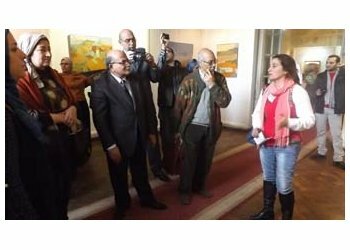 Her last exhibition has been done in Fine art university of Alexandria. 2001: Four months in the Royal Academy of Fine Arts - Stockholm Sweden (as guest student) with Prof. Johan Widen. Some courses were taken in the same period of time in Sweden. Technology of printmaking (Stone - Copper). Editing video and sound, Corky Models, Lectures In (The theory of media and history). With Professors: Maria Lindstrom, Mikael Wahrby, Staffan Redin, Mikael Beckman, Johan Scott, and Steven Dixon. 1993: Bachelor of Fine Arts, Alexandria Uni. Painting department. 2010: “Figures” Gallery of Faculty of Fine Art – Alexandria. 2007: Two Versions of Holes –reconstruction", Goethe Institute, Alexandria. 2006: “Two Versions of Holes” –Goethe Institute – Dokkey – Cairo. 2001: Gallery MelIanrummet - The Royal Academy of Fine Arts- Stockholm Sweden, installation (In Touch). 2001: Swedish Institute - Alexandria, installation (choose the society you would like to live in, do not choose the society you would like to live in) inside the festival of the 12 days Culture walk. 2005: El Mawred’s prize for funding young artist’s projects. 2010: The Fourth Prize in scenario competition – The Seventh International Festival of Films through Desert – Zagora – Morocco. 2011: Spring Exhibition, Karmet Ibn Hanie Cultural Center - Ahmed Shawky Museum- Cairo. 2012: Agenda Exhibition - Alexandrian Bibliotheca. 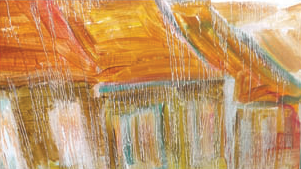 2009: Exhibition of Alexandrian Artists – Isis gallery – Mokhtar museum – Cairo. 2009: The National Exhibition – Palace of Art – Opera – Cairo. 2008: Working as an Art Director in the short film “The Judgment” for the director Ayman Elamir. 2008: The annual salon of Atelier-Alexandria. 2007: The Third Sakia festival for documentary films-Cairo. 2006: Photos Exhibitions – World Aids Day- British Council- Cairo. 2005: “New Paintings”- Mashrabia Gallery -Cairo. 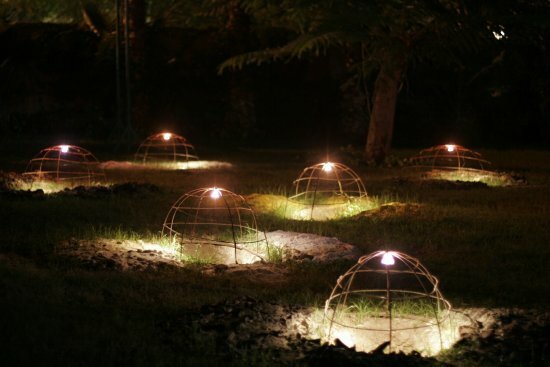 2004: Light Installation- “Noubar 3” project- Mashrabia gallery-Goethe institute – Cairo. 2004: Bibliotheca Alexandrina “First International Biennale for Artist Book. 2003: Switching Language “Video Performance – with Hadel Nazmy - Goethe institute- Alexandria. 2003: The 9th Woxford Artists Book Exhibition - Ireland. 2002: She recorded with 7 Alexandrine Women, Short Movie, Personal Politics" for the Ethiopian Swedish “Loulou Cherinet”. 2001: Video Performance, (Switching Language) with the Egyptian Artist Hadel Nazmy, the Norwegian Artist Askild Viik Edvardson and the Swedish Artist Cart Johan Erikson, had shown In the second part of the Desert exhibition, Graphic House, Maria Fried, Sweden. 2001: Exhibition of the (Kunst, architecture, landscape), Desert part 1, Graphic House, Maria Fried, Sweden. 2001: Co-operated work with the Egyptian artist Hadel Nazmy in Siwa Oasis Happening (Away From- Out Of) in the occasion of Education Program Visiting (Kunst, architecture, landscape) for the Royal Academy of Fine Art in Stockholm. 2011: The Global art system, contemporary internationalism and ways to challenge the mainstream with Lucrezia Cippitelli -Acaf –Alexandria. 2010: Scenario workshop through the Seventh International Festival of films through Desert – Zagora – Morocco. 2010: Workshop of Artist Book Biennale – the Fourth – Alexandrian Bibliotheca. 2008: The City: object workshop – in conjunction with the Beyrouth/ Baghdad project – Goethe institute and Mashrabia gallery – Cairo. 2007: workshop “vocal lab on Ibn Arabi’s texts” by Elisa Toledo Todd – the embassy of Spain in Cairo. 2007: Fayoum winter academy –Tounis village. 2006: workshop in the sound techniques with basher shamot – i-act, Alexandria library. 2006-2005: workshops for cinema creation – Jesuit Cultural Center and Semat- Alexandria. 2004: Video work shop with artists Ursula Biemann & Amal Kenawe – Town House gallery- Cairo. 2004: Art workshop “Accordion Fold – Concertina Book sand Japanese Bookbinding – with artists – Suzanne Horvitz and Robert Roesch – American Centre – Alexandria. 2003: An urban residency program for the twenty artists from Egypt and around the world – Open Studio Project – Town House gallery – Cairo. 2003: “On location” workshop Stockholm — Alexandria — Cairo, in the Town House gallery — Cairo. 2002: Work Shop with the Swedish Artist Modhir Ahmed and the Danish Artist Marianne Thingholm, different kinds of printmaking (coli graph, linocut, ‘mono print’, photopolymer, Offset) Alexandria workshops Center, Graphic Department.